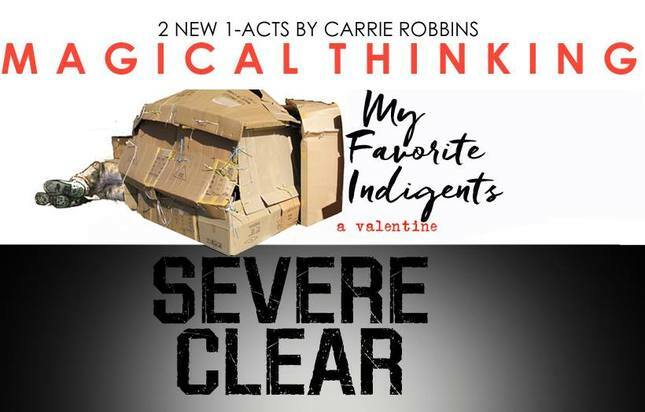 ​Tony-nominated actor Robert Cuccioli will lead the cast of MAGICAL THINKING: My Favorite Indigents & Severe Clear by playwright/designer Carrie Robbins, directed by Paul Dobie(Associate or Assistant Director for B'way's Once, Cabaret, Wicked, Martin Short... Fame Becomes Me, Glengarry Glen Ross). The reading will take place on Monday, April 18, at 7pm at the Bernie Wohl Center. Mr. Cuccioli played the title roles in both Jekyll & Hyde [for which he received the Tony nom., Drama Desk, & OCC Awards], and the fall 2015 season's Rothschild & Sons. He will be starring in this summer's new version of Paint Your Wagon in Seattle. Among his extensive roles, Mr. Cuccioli's work includes Les Miserables & Spider-Man: Turn Off The Dark. Off-Broadway: And The World Goes 'Round (OCC Award), The Rothschilds, Jacques Brel, Bikeman. Regional: Antony & Cleopatra, 1776 (Helen Hayes nom. ), Lend Me A Tenor, Jesus Christ Superstar, The Sound Of Music, Amadeus, Julius Caesar, Macbeth, Carnival, Othello, Hamlet, Lorenzzaccio (Helen Hayes Nom. ), The School for Scandal, The Seafarer. Television: White Collar, Sliders, Baywatch, The Guiding Light. Film: Celebrity, The Stranger.www.robertcuccioli.com. My Favorite Indigents, based on true stories by R.D. Robbins, MD, is a valentine to the homeless of NYC and the doctors who provide the care for these anonymous and smelly "sheep." Severe Clear. 8:45 a.m. on a brilliant cloudless day in NYC, a retired doctor bumps up against the immutable power of Denial when, in light of cataclysmic tragedy, he discovers his lifelong companions, Reason & Logic, are useless. His wife, denial firmly in place, remains optimistic. 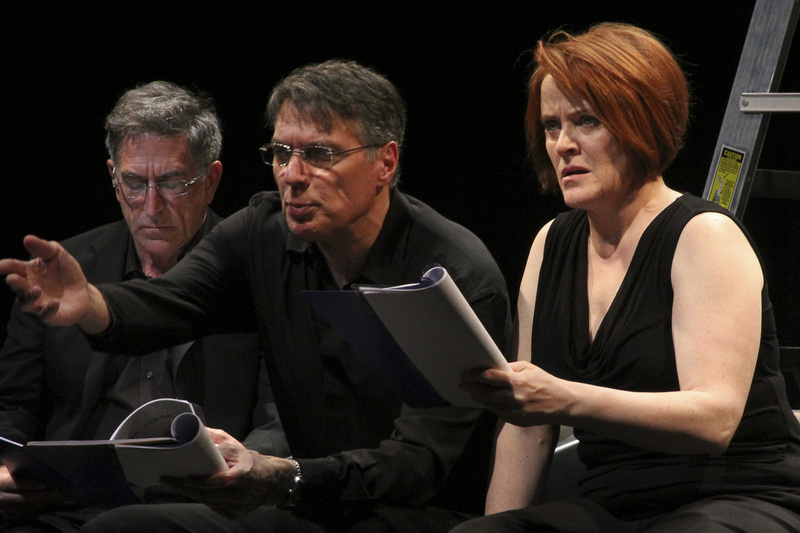 Carrie Robbins's play "SAWBONES & THE DIAMOND EATER" (HERE Arts Center, NYC), directed by Tazewell Thompson, received six nominations from the NY Innovative Theatre Awards, the most nominations received by any show in 2014. Her "Le WEDDING DRESS" (Dir. PauL Dobie) was chosen from 500 scripts by NYNew Works Theatre Festival in 2015, and was one of 24 Semi-Finalists. 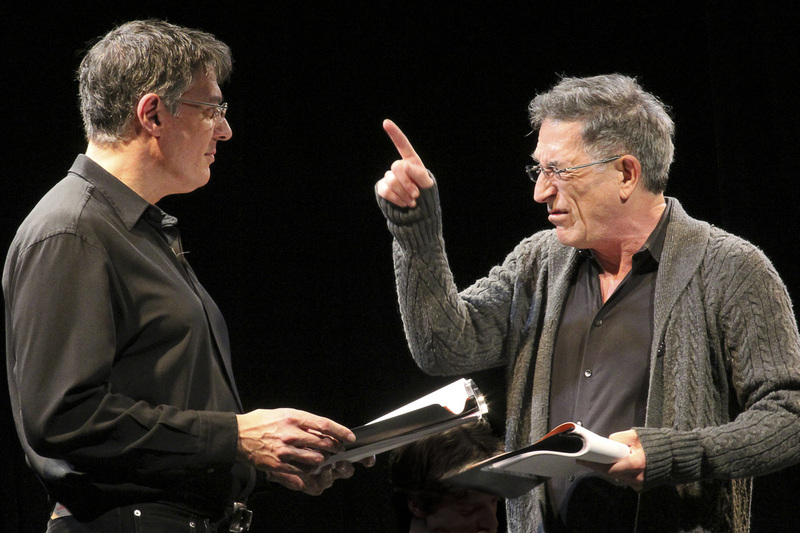 In 2013, "SAWBONES" was chosen by The Actors Company Theatre (TACT-Wall St. Journal's 2012 "Company of the Year") for its NewTACTics New Plays Festival. For further informaiton, see www.daysofthegiants.com. As a Designer, Robbins has spent years designing costumes on B'way & Off, here & abroad. 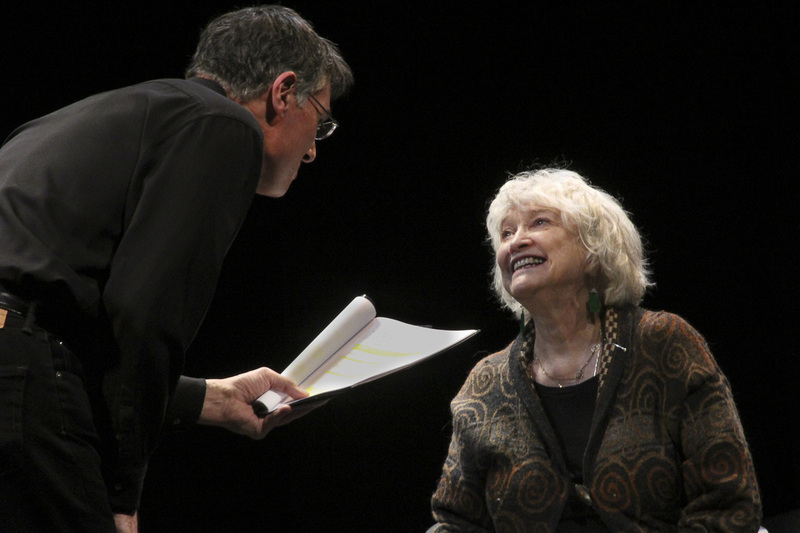 In 2012 she received the TDF/Irene Sharaff Lifetime Achievement Award for her body of work. In 2011 she became only the 2nd costume designer to be honored with a Monograph of her work (Amazon.com/ Drama-Bookshop/NYC). She has several Tony noms, 6 Drama Desk Awards, Maharam, Henry Hewes, L.A. Dramalogue, Audelco, Salmagundi Fine Arts, 3 Prague Quadrennial, among others. Robbins is known for the strength and skill of her character drawing which may have presaged her interest in character writing. For more, go to www.carrierobbinsdesignageinc.com. MAGICAL THINKING is the third offering in the monthly "New Works 2016 Series" presented by 29th Street Playwrights Collective in association with Goddard Riverside/Bernie Wohl Arts Center, 647 Columbus Avenue at 91st St. The FREE reading is open to the public. Refreshments served. Donations appreciated. 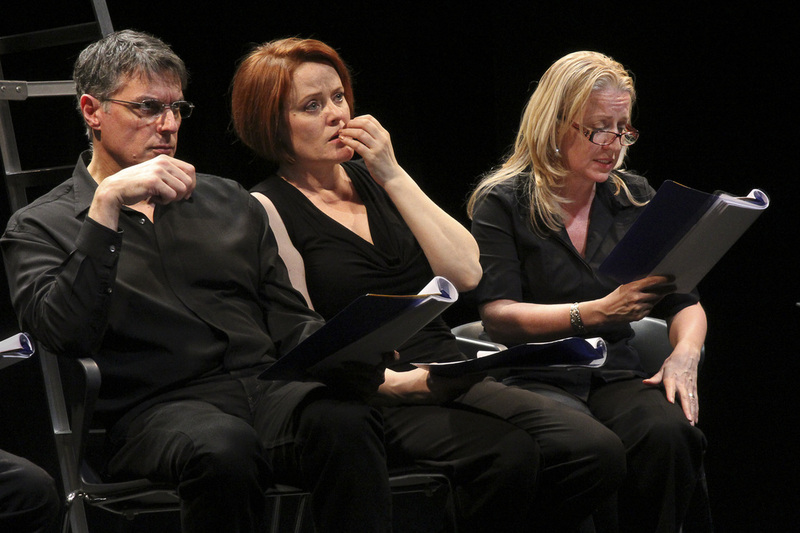 The 29th Street Playwrights Collective is dedicated to developing the voices of emerging, mature playwrights through weekly craft discussions and to fostering new work for the stage through public readings and workshop performances of members' works. RSVP: Eventbrite.com [enter: "Magical Thinking"]. ROBERT CUCCIOLI & ERIKA ROLFSRUD in Severe Clear, by Carrie Robbins. Photo by Emily Hewitt.